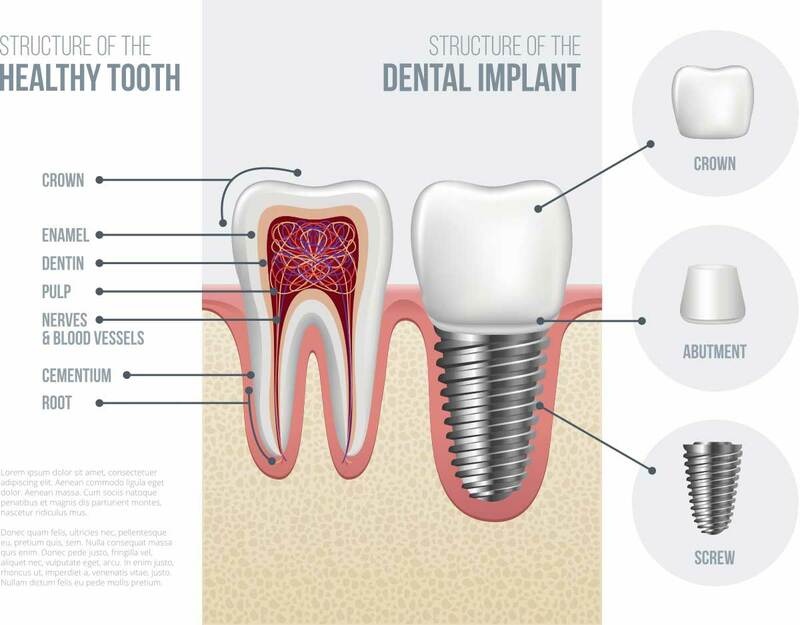 Dental implants are a great way to replace a single missing tooth, several missing teeth, or an entire row of the teeth. 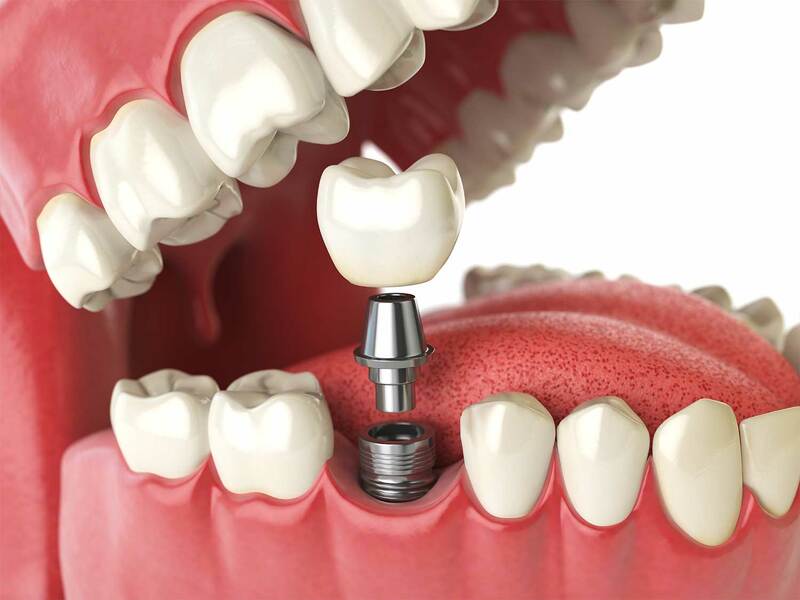 Dental implants help avoid issues that can occur if teeth are removed without replacement. As a member of the American Society of Implant and Reconstructive Dentistry (ASIRD) we can help you with all of you implant requirements. Dental implants require two or more stages to complete; however, in some cases only a single stage is needed. In dual stage cases, the first step involves the placement of the dental implant(s), completed by an oral surgeon or periodontist and usually requires 3-4 months of healing. During the healing process, a temporary prosthesis can be utilized to provide proper function and aesthetics. Once healing is complete, the second stage involves making a crown, bridge or denture to attach to the implant(s) that were placed. See the figures below to help you better understand dental implants and their role in tooth replacement and bone preservation. Listed below are some of the options available with dental implants. Implant crowns are used to replace a single missing tooth or several missing teeth throughout the mouth. Once a dental implant has been placed and has healed, a porcelain crown can be connected to the implant. An implant crown will look and function just like a healthy tooth. 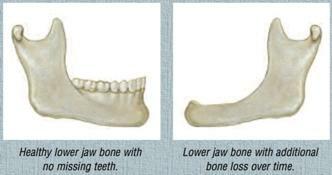 See the figures below to see examples of implant crowns. 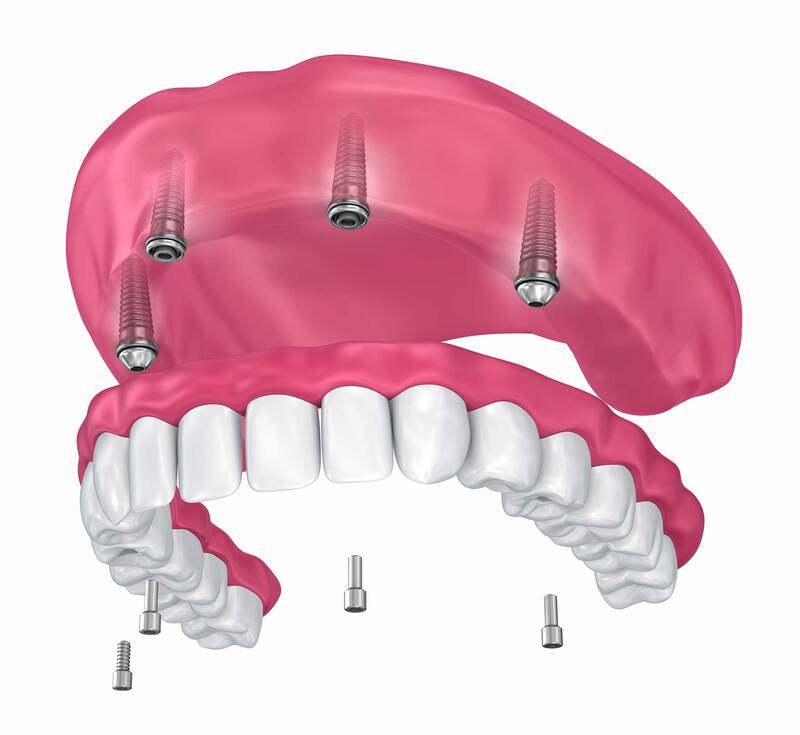 Implant bridges provide an option to replace multiple teeth missing in a row. 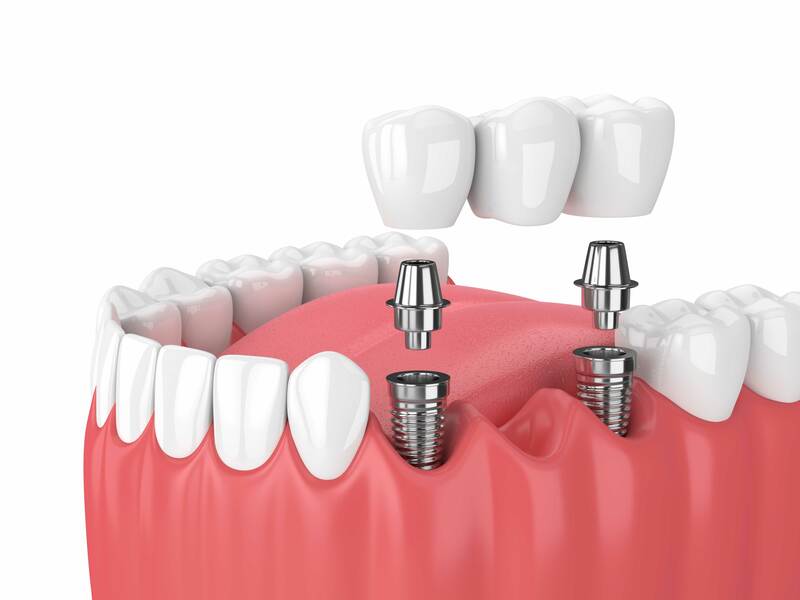 Once the implants have been placed and have healed, a porcelain bridge can be connected to the implants and replace the missing teeth. This bridge will look and functions just as natural teeth would. When all of the teeth are missing, some of the above options may be available. An implant-supported denture is also an option for total teeth replacement. After several implants are placed and healed, a denture can be connected to them. This denture can be fixed in place or removable, depending on your needs. 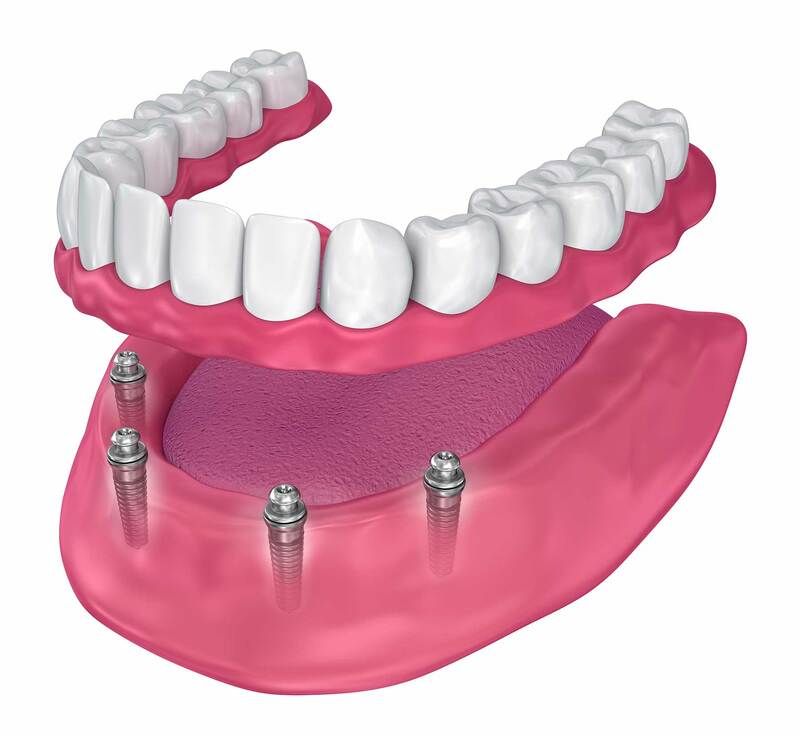 Using implants to secure a denture not only prevents the denture from moving around like a traditional denture, but allows you greater biting force (which allows you to eat anything they desire!). 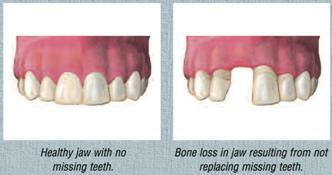 Implant-supported dentures are a great improvement over traditional dentures. See the images below to see an example of an implant supported denture.